Artist Mark di Suvero discusses his work at the Art Association’s 135th Annual Meeting at the Philadelphia Museum of Art. Photo Gregory Benson © 2007 for the Association for Public Art. 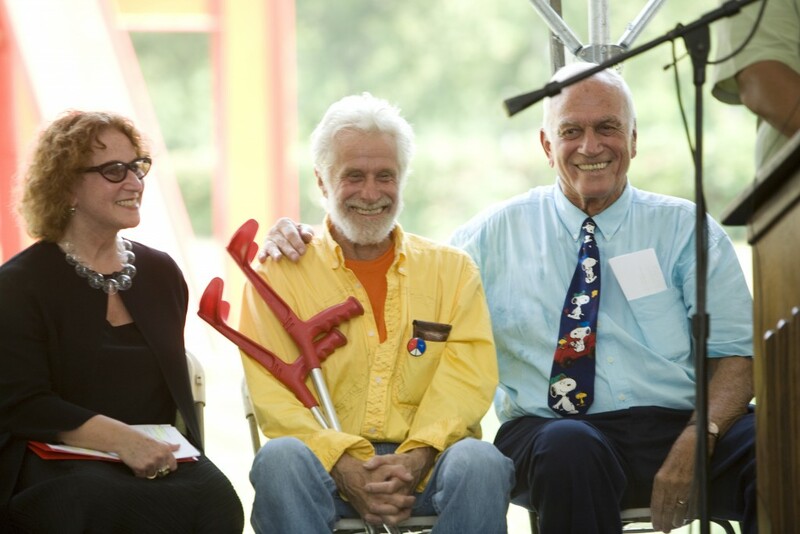 Nearly 200 members and guests came to meet renowned artist Mark di Suvero and welcome his sculpture to Philadelphia at the Fairmount Park Art Association’s dedication for Iroquois and 135th Annual Meeting on June 27, 2007. The public dedication for Iroquois took place under a tent at the sculpture site along the Benjamin Franklin Parkway at Eakins Oval. Speakers representing the City of Philadelphia, Fairmount Park, and the Art Association spoke about the importance of the work and thanked both the artist and David N. Pincus, who supported the acquisition of Iroquois. Robert N.C. Nix III, President of the Fairmount Park Commission, read a mayoral proclamation thanking the Art Association for 135 years of bringing world-class art to Philadelphia’s public spaces, and the Art Association’s Secretary/Treasurer Ted Newbold awarded di Suvero with the Art Association’s Medal of Honor, which recognizes outstanding achievement in the field of art through notable public service. Previous recipients include Claes Oldenberg and Coosje van Bruggen, and Isamu Noguchi. Following the dedication, guests traveled by trolley to the Art Museum for the Art Association’s 135th Annual Meeting. Art Association President Charles E. Mather III and Executive Director Penny Balkin Bach both spoke of the organization’s activities and accomplishments of the past year. Chief among these was the installation of Diane Pieri’s Manayunk Stoops: Heart and Home along the Manayunk Canal Towpath and the reinstallation of Louise Nevelson’s Atmosphere and Environment XII, which has received pioneering conservation treatment. 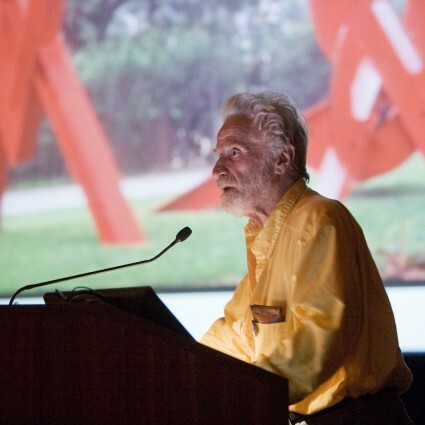 Artist Mark di Suvero spoke about art and politics, and showed slides of his large outdoor sculptures located around the world. Dressed in yellow shirt decorated with a large peace sign, di Suvero urged the audience to celebrate beauty and speak out against abuses of power. His powerful final words echoed throughout the rest of the night’s celebrations. From left to right: Art Association Executive Director Penny Balkin Bach, artist Mark di Suvero, and David Pincus at the dedication ceremony. Photo Gregory Benson © 2007 for the Association for Public Art. Artist Diane Pieri’s nine mosaic “stoops” enhance and interpret the physical and natural environment of the Manayunk Canal Towpath.